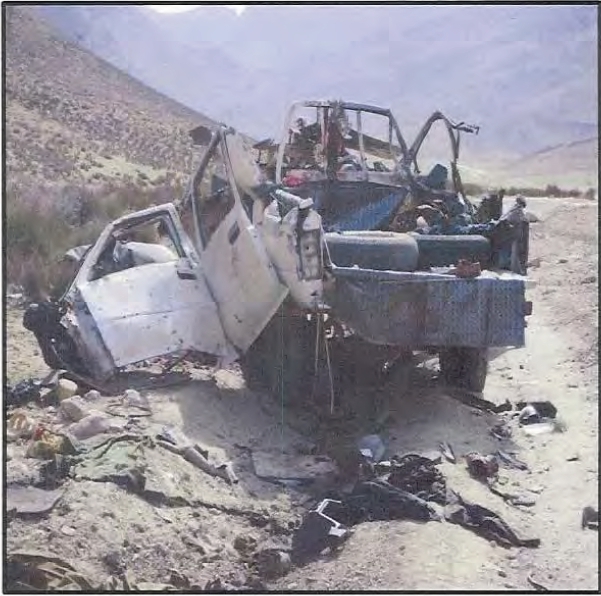 Centcom.mil released on 22 March 2012 a declassified 2,100-page report on slaughter of 23 Afghan non-combatants – men, women, children – in February 2010, blamed on Creech drone pilots over-enthusiastically calling in Hellfires on a 3-vehicle civilian convoy. Minutely detailed descriptions are provided of how drones are directed from screeners at Centcom and pilots at Creech AFB using a battery of secure communications devices: IRC chat, radio, video, satellites, VOIP, telephone, not all of which are coordinated and supervised and thus lead to disaster. Pilots of choppers which fired the Hellfire missiles claim drone operators cannot be trusted due to lack of contact with real world conditions on the ground and because mission controllers at Creech reward “Top Gun” aggressiveness. Caution of screeners at Centcom and in Afghanistan in this case were overridden by drone operators at Creech to authorize kinetic action against the civilians. As one military interviewee said: from the safety of Creech drone pilots were too avid for kills and used the Tom Cruise Top Gun appellation to describe their “juvenile” behaviour. The whole report is worth reading and promulgating to counter the PR machinery promoting drones as safe-kill from afar. Interviews of the civilians writhing painfully in hospitals probably won’t get much press.